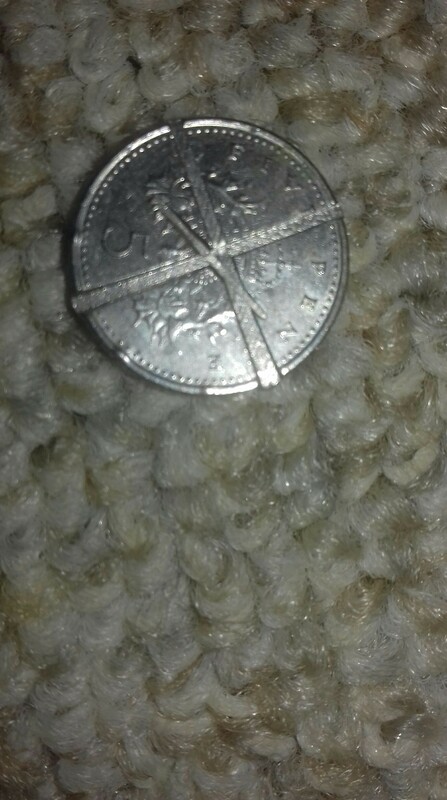 What happened to this coin? The markings are in the same position on each side. 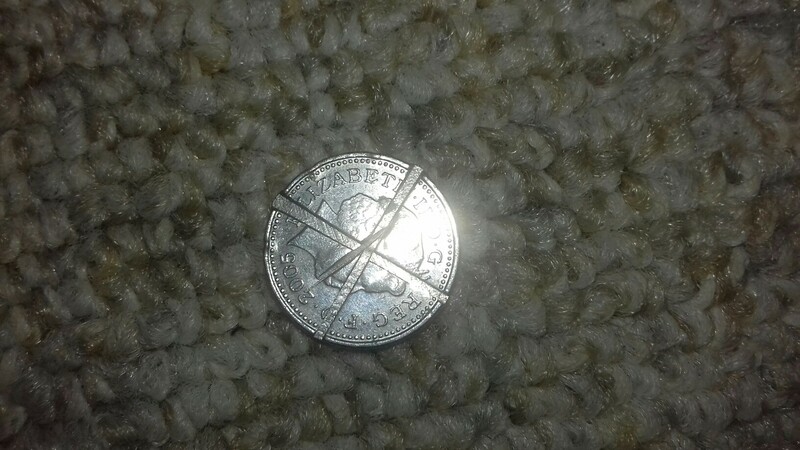 Re: What happened to this coin? Found a thread elsewhere about X's on coins. May be referring to more subtle damage, however. Could be some variety of minting error. Discovered a nice site (with pictures). Knows too little to pinpoint it, unfortunately. Details only production damage too, not intentional. Thanks Deva. Can't find anything like this one on those sites from a quick scan, but thanks for the help! If you pass it to a knights templar, he owes you a favor.